Have a task, group of tasks or project you need multiple times? Use templates/saved items. 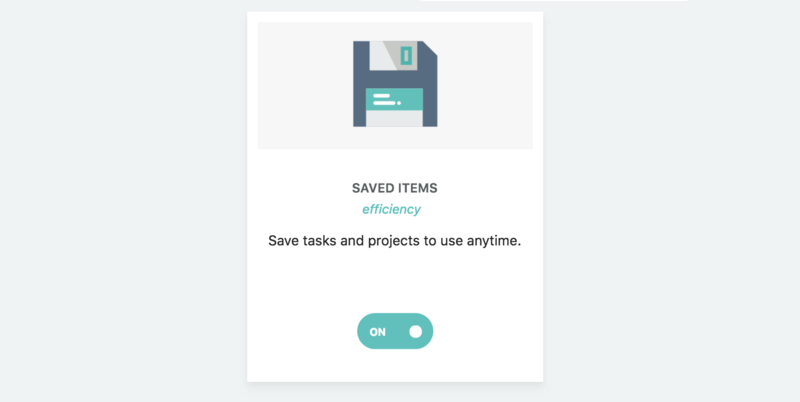 With this strategy you can save projects and tasks and then load them anytime later. This is great for a project or task that you want to reuse. Think of the saved item as a template that you can then reuse again and again. To save a task or project, click on the edit icon (cog) of that task/project and click the save icon (floppy disk) at the top. How to load a saved task or project (template). 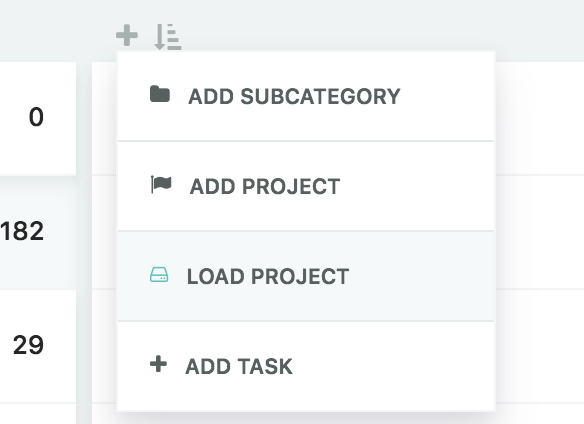 One way to load a project into your Master List (column view) is to click the plus button at the top of the column and then select "Load project". To load a task or project, first create a new empty task or project (trough menu above, plus/flag button at end of column of shift + t/shift+p shortcut) and then type "load " followed by a space. 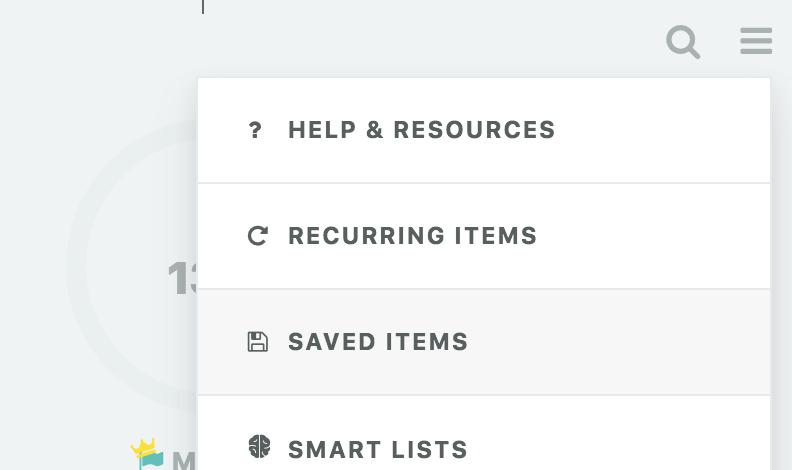 You will then see a dropdown menu with your saved tasks/projects respectively. You can load a task into your days directly by typing "load " into the task input bar and selecting a saved task from the dropdown. Any date related property (due date, planned week/month) does not get saved. The context/parent (which category/project a task or project is in) also does not get saved! Here is how to add a specific parent to a saved item. Instead of saving an existing project or task you can also directly create a saved item (template) by going to the saved items overlay. There you can also see a list of your current saved items and delete or edit them if necessary.